Read the September-October 2017 E-News Bulletin, Vol13 #5. NOTE: If you are using your cell phone to view the E-News Bulletin: when you’ve completed reading an article, you will need to scroll to the bottom of the page, and select the next article of interest. Partnership Framework and Provincial Government – The Board heard a presentation from AMA and the Department of Municipal Affairs about possible areas of joint work. Further discussion will be held. In the meantime, UNSM Executive will seek a meeting with the Premier and the Minister to discuss future assistance. UNSM President and Vice-President Terms - The Board agreed to look at extending the terms of President and Vice-President from one to two-year terms and to have these positions elected at large, similar to most municipal associations across the country. Reasons to move to the two-year term include the need for more time to build relationships with the province, to maintain focus on top priorities, and to increase influence at the FCM Board level. Staff will report on the implications of this change, and the Board will consult with the membership. President Compensation – The Board reviewed the time commitments required of the President and agreed to increase the President’s annual compensation from $6000 to $12,000, to be increased annually by CPI. The President’s compensation has remained the same since 2005. The increase reflects the significant number of days and hours per year required to fulfill the role – at a minimum the President is required to attend meetings on average one day a week. FCM Municipal Guide to Cannabis Legalization Project – FCM has asked municipal associations to contribute financially to the development of a guide book which will benefit all municipalities. UNSM Board agreed to contribute $2000 to this project. Resolutions Process – Letter from District of Barrington – The District of Barrington wrote to the President requesting all municipal councils vote on proposed resolutions, instead of individuals at the annual general meeting. This would allow all councils to have a say, as some cannot send people to the AGM. The Board saw merit in this idea, and would like to discuss this further with the membership. However, given the timing, it is not possible to change the process at this point for this AGM. 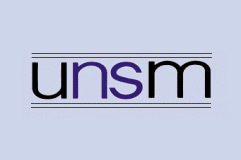 UNSM Dues Formula – The Board agreed to maintain the existing formula for UNSM dues. At the December Board meeting, the Board will be asked to approve the 2018 UNSM Budget, after which the invoice for dues will be sent to municipalities. Request for Municipality to Waive Permit Fees Associated with Provincial Accessibility Programs – The province has introduced two new programs to assist community groups and businesses improve accessibility. The Accessibility Directorate requested municipalities waive municipal permits for those with approved projects under the programs. As this is an individual council decision limited to those who receive approval under these specific programs, the UNSM Board agreed to encourage municipalities to consider the waiving of fees. ]Amendments to Resolutions Policy – At this time no further changes are being made to the Resolutions Policy, however UNSM will invite feedback on the process following the AGM, and is committed to improving the process. Solid Waste Review and EPR – The Board agreed to invite the Chairs of the Solid Waste Committees to meet in December to discuss the solid waste review and EPR. ]Pugwash Conference on Climate Change – This conference was recently held, and Warden Timothy Habinski was in attendance as was Debbie Nielson. The Board agreed to circulate the media release issued after the conference to UNSM members. Areas for Further Exploration – Board members raised the issues of interest arbitration and the need for legislation to recognize ability to pay as a legitimate concern. The need to reach out to First Nations and to understand the Truth and Reconciliation report was also identified. Staff will explore. November 7-10 - UNSM Fall Conference - Westin Nova Scotian Hotel, Halifax. Click here for more information. Click here for On-Line Registration.